With us you get the KlausenCard free of charge! 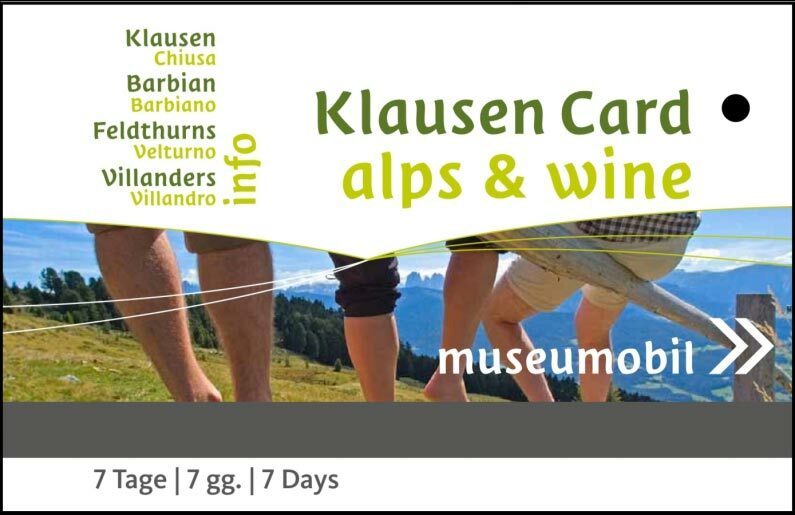 Discover Alto Adige/Südtirol with the public transportation service and visit the musuem of your interest for free. All rates are indicated in Euro per day and apply for a minimum stay of 5 days. The tourist tax is added to the basic price. The charge will be 1,00 € per person and day (starting from the age of 14 ) and has to be paid right away on the house. Final cleaning and taxes included.